This process is usually done with small items and hands, however it has been postulated by certain people that this process could have larger applications. These applications range from a way of detecting stress in the human body or even cancer, and go so far as to suggest it is a literal photo of the human aura. (Of another interesting note, aural photography at the carnival doesn't involve this process that is literally malarky.) Most of the sources will point to experiments where between exposures of this photographic process there will be changes. One example on a website claimed to be a "healer" normally and then the same "healer" before attempting a "healing" (of course, it didn't specify what kind of "healer"). Another experiment was a leaf before and after being torn in half and after being torn in half it still shows the whole leaf. There are obviously some problems with this, almost all of the observed phenomena can be easily explained by physics. Any one who has ever played with a plasma globe, seen lighting, watched an electric jacob's ladder, or have seen a demonstration with a tesla coil can tell you how sporadic an electric discharge can be. To further nail the proverbial coffin shut, any item can have its picture taken this way. 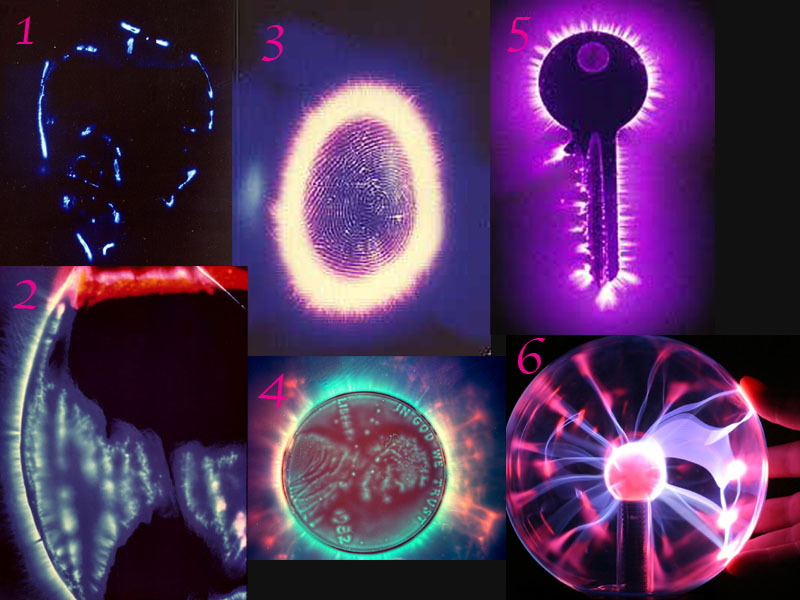 In the included picture there are some samples of Kirlian Photography. Images 1 and 2 are both of leaves one in color and one in black and white. Image 3 is a human thumb. Images 4 and 5 are of a penny and a key respectively. As you can see, a completely inorganic items give of similar images using this photographic method. It even has the same level of detail between inorganic and organic items. In image 3 you can make out the ridges of the thumb and picture shows the rather nice portrait of Honest Abe. Therefor any claim that the representative images if of a human aura, some sort of biofield, or any other type of energy field besides the introduced electricity to be ridiculous. 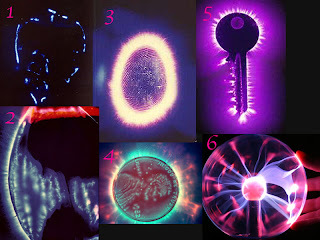 Image 6 is of a plasma globe a novelty item which works on a principle similar to that of Kirlian Photography. There are clearly some similarities between the dispersal between this image and the image of the penny. While the fictitious ideas surrounding seem rather interesting and almost scientific, even after just a short glance are proven to be ridiculous. This is an article about how to build one but is a good explanation of how it works. It is true that kirilan photography is associated with some forms of alternative medicine. The most well known alternative medicine that uses it as a form of diagnosis is esogetic colorpuncture. The kirilan photography is usually performed on the subject before and after treatment. The photograph supposedly reveals the appearance of the "energy field" of beings and shows the practitioner what specific areas need treatment. It is believed that the Kirilan Photograph of a patients hand may reveal traumatic events in the individuals past, such as childhood abuse or neglect.